Everyone has their own 9/11 story. Regardless of whether one lived in New York that day or not, it is hard to find someone who does not remember where they were when they first heard of the attacks and how that day unfolded for them. The closer one was to what happened, be it geographically or by emotional connection to someone there, the more horrific it was. There were initially no positive feelings to speak of on that day. All we saw and felt that day was fire, smoke, fear, horror, sadness and death. But as is always the case with humanity, the world moves on. It does not forget, often not forgiving, but it does move on, and often evolve. Today, 15 years later on September 11, 2016, that evolution is more evident to me than ever before. A valid argument can be made that the world is not a better place than it was 15 years ago today. That being said, in between today’s moments of sadness and tears, a few things struck me. The beautiful rebuilding of what became known that day as Ground Zero is a credit to the strength and resolve of not just New York City, but the entire United States. The Freedom Tower, now 1 World Trade Center overlooks Manhattan with dignity and character. It sends the message to the entire world, specifically those who want to take our freedom, that on 9/11 as down as we were, we were not out and never will be. The respect shown to our Police, Firemen, first responders, and Armed Forces all over the world on this day is a reflection of a love and belief in all that is good. Even as America has its problems and conflicts, both internally and abroad, there is no denying the fact that evil is not what motivates its people. If anything it is hope, and even more so, pride. I do not remember the last time I heard the national anthem performed more often than I did today. Nor do I remember the last time I heard more cheers for those who try their best, often thankfully with great success to protect the people. Today America felt to me more like a family than it has in quite some time. In the midst of a contentious political cycle, differences were set aside and the good people of the United States of America stood as one in remembering those who died as a result of an attack on our freedom. Knowing what the perpetrators of evil are capable of, it’s not a stretch to say that the world is a more scary place than it was on September 10, 2001, one day before the attacks. But whether that is true or not, the one thing I know as I sit and write this is that defeating all that is good in this world is not nearly as easy as those who commit acts of evil would like it to be. Today, on September 11, 2016 Americans once again made that clear to the world by remembering that day as a day of of horror while standing tall with pride in all that is good and that which was not lost, our freedom. 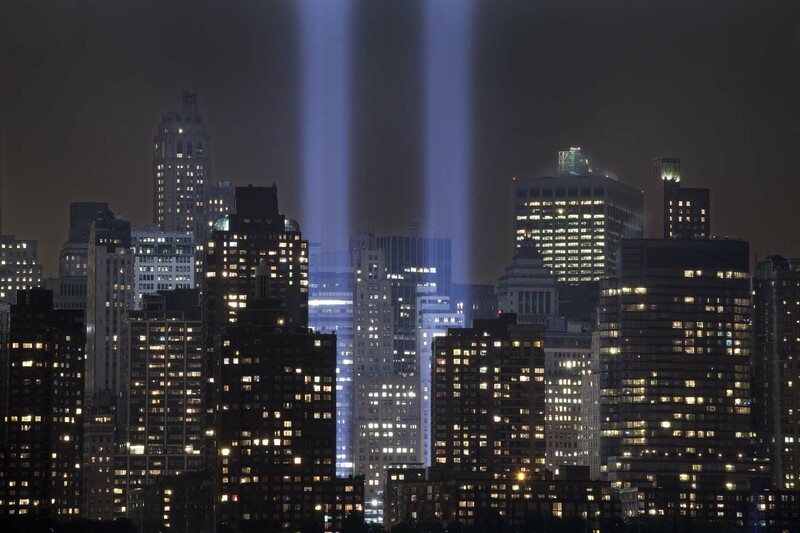 The following are 2 articles I wrote after the 9/11 attacks. The first article shares my feelings on living in New York on that devastating day. The second article speaks of my experience attending the funeral of a heroic fireman. Both are days I will remember for the rest of my life. Later I will reflect, without any political spin, on where we are 15 years later. On Tuesday morning Sept.11, 2001, we witnessed an event that will change the world forever. This act committed by the forces of evil against the civilized world is one that changes the shape of our future. As a resident of New York, I have seen a city traumatized, saddened, and angered. We were all abruptly forced to change the way we look at everything that we do and to alter our perspective on a daily basis. The average New Yorker will take serious umbrage to anyone touching something that belongs to them, especially when it belongs to them collectively. At around 10AM on Tuesday morning I found myself around the corner from the original symbol of New York City, the Empire State Building. I am not ashamed to say that I was afraid to be there, yet like so many others there, felt a comfort in being with my fellow New Yorkers. After managing to get one call out, a call that created a chain to let my family know that I was OK, I started to walk uptown and to the East, and like many of the people who live in Queens, I walked over the 59th Street Bridge. When I looked to my right, where I used to see the symbol of the New York skyline, now all I saw was a trail of black smoke. I got home safely after a day of much walking and fear yet never lost sight of the fact that I was one of the lucky ones. As someone who considers himself to be a New Yorker I have been deeply moved and grateful for the attitude and support of our fellow Americans. Today when I bought my first American flag, I did it for 2 reasons. Out of a tremendous pride for living in the greatest city in the world, and out of a gratitude and pride for living in the greatest country in the world. This week while we are all Americans, to us in New York it felt like the entire country was a country of New Yorkers. The war that was declared on us a few days ago was an act of evil against our basic good. But true good will always conquer evil, and the victims of the attack on Tuesday will not die for nothing if the proper actions are taken to make this the beginning of a series of events that will insure the safety and freedom for us and our future generations. I recently had the moving experience of attending a memorial service for one of the fallen firemen from September 11th. Mayor Giuliani made a request for New Yorkers to go out and attend these services to insure that a proper number of people would be showing their respects to each individual victim. It wasn’t till after the service that I began to wonder whether his suggestion was meant to be for the victims and their families, or for the many common citizens who were able to show up.On this day I learned many things that I did not know about the New York City Fire Department. I hear the stories of how their performance on September 11th played and enormous part in saving tens of thousands of lives. I heard how they were running up the stairs trying to save people while the people were running down the stairs trying to escape. I saw the respect and love they all have for each other and the matter of fact way in which they approach their job. They love what they do and feel little to no fear for dangers that would certainly frighten most people.On this day I just missed being able to greet the Mayor but I did have the honor of shaking Fire Commissioner, Thomas Von Essen’s hand. I had a few conversations with a few people here and there, but most of all, I made a new friend. Fireman David Weiss.David Weiss was originally from Pennsylvania and always knew that he wanted to be a fireman. He became a member of the elite branch of the department, Rescue 1, a few years ago, following an extraordinary situation. When traveling on the FDR Drive in Manhattan one day while off duty, he spotted a car sinking in the East River. He pulled his car over and jumped into the river, pulling the man out of the car, and brought him safely to shore. News of David’s heroics reached he department’s brass and David was promoted to Rescue 1. It was a dream come true for him to be in the top unit of what he knew was the greatest fire department in the world and to be able to do on the highest level that which he loved most. One time while Rescue 1 was working on a very dangerous situation David approached a fireman who was new to the unit. He told the fireman that he must be finding this rough as one of the new guys and that he would have no trouble taking over one of his shifts in order to help him out. The fireman agreed and David ended up working a double shift. Later on the fireman found out that David too was one of the new guys. This was typical of his personality. Loved by his family, friends, and coworkers, a person of David’s quality is very hard to find. Even with all this, the friendship I feel for him is different from any other that I know. Since I never met David Weiss.On September 11th, David’s unit was one of the first to arrive at the scene of the attack. He and his fellow firemen helped evacuate the buildings and guide many people to safety. Sadly, David was one of the more than 300 firemen that died that day heroically doing their job. The memorial service I attended this past Sunday was for David Weiss. The words spoken by those closest to him paint a very vivid picture of a man who although sadly died at a much too early age, died in the exact way he would have wanted. Not only saving lives, but saving thousands of lives. The words of these people made me feel as if I had gotten to know this man, and at the end of the day I felt as if I had lost a friend. Maybe the Mayor knew this would happen for some when he encouraged people to turn out. This was a display of unity and respect and even beauty in the midst of greatest sorrow. On a day when I was one of many to pay last respects to a dear friend. A friend I never knew. With Donald Trump all over the media and the crisis facing the Republican Party taking center stage, it’s easy for people to overlook the issues the Democrats are dealing with almost simultaneously. On the surface the two most significant differences are the number of candidates remaining, and more importantly, the fact that the front runner for the Republicans is the candidate making the most noise and getting the most attention. This does not necessarily mean he is the most controversial. Objectively speaking, that distinction could at least as easily be given to the Democratic front runner Hillary Clinton. What both parties do have in common is that neither have any right to be surprised about where they are today. In essence, both parties are reaping what they sowed. It’s far easier to see this when looking at the Republican primaries. Ultra conservatives and the Republican establishment have been attacking everything Democrat at least since the days of Bill Clinton. Even before he got started Barack Obama’s opponents were attacking him from day one. Whether you believe he’s been a great president or a failing president, his opponents assumed, almost immediately that he would be wrong on every policy move he ever made. However, in reality it’s always been at least as much about his party as it was about his policies. In fairness, the Republicans had just finished facing the same thing with George W. Bush. After 9/11, and the subsequent invasion of Afghanistan, there was a short period of time, maybe the only time in decades that the nation actually stood together as one. But as soon as things got a little better, the unity fell apart. Nothing represented it more than the war in Iraq. Very few people reading this will likely take an objective stance on that issue. There are stances that Republicans and Democrats have taken that are clearly the party line. Democrats generally say they opposed the war in Iraq. Ironically, even many of the ones that voted in favor of it now prefer to say they made a mistake than breaking away from the party rhetoric. Republicans say the war was the correct move but it turned into a disaster once the Obama administration came into power. I challenge people reading this to come up with an original thought on this issue possibly even in breaking with their party affiliation. Why? Because when you don’t look at things objectively and avoid telling people the truth, guess what you get? Donald Trump and Bernie Sanders. America is facing something far more complicated than a country divided. This is actually a country with its two main parties divided before we even get to the growing division between Conservatives and Liberals, Democrats and Republicans. The big question is, why is anyone surprised? 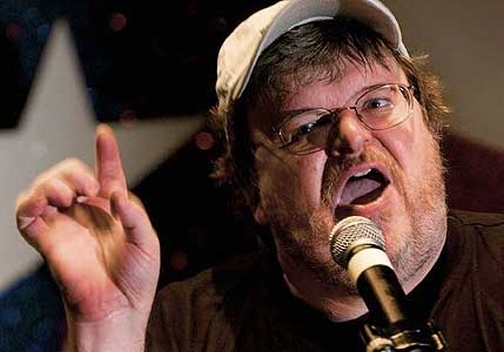 After years of vitriolic criticism from both sides, the 2 men that represent the subsequent backlash on both sides are a Socialist touting a political revolution and a Reality TV star and businessman with such extreme views he is garnishing support of the country’s worst racists and bigots. But what did people expect? If you spend enough time telling people how evil everyone on the other side of the political aisle is, do you expect a happy populous? Do you expect tranquil political discussion? Or do you stop and realize that what’s been created is an environment fertile to the growth of far left or far right extremism. Sadly it never ends. Even with the issue of Donald Trump’s rallies, supporters of Trump say one thing, detractors say the other. People don’t seem to realize that this is part of what people are fed up with. Not every “expert” on TV has to always sound like a paid representative of one side or the other. Most people do some things wrong and some things right. But when you listen to the pundits, their side does everything right, and the other side does everything wrong. For once I would like to hear someone say something that both sides would disagree with. At least then we would know they were being honest. In an era when politics looks like wrestling, and I mean the fake kind, not the Olympic kind, and political nastiness and controversy is blown out of proportion for TV ratings-case in point the constant replay of the same punches from this past Friday night-we can hardly be surprised by what we are seeing in both parties. After all, when true leadership is lacking, people are often left with strong expressions of anger and frustration. What would really be surprising would be if it wasn’t happening. It was my hope that this letter would not be necessary. As a Jew and as a Zionist, I wanted to hide my head in the sand when I originally saw this cartoon published by your paper. My plan was to ignore it and hope it would go away before it attracted too much attention. Unfortunately that ended up not being possible. Although one could say that since I was far removed from this cartoon I should not feel such a tremendous level of embarrassment, I am someone who believes and hopes for the unity of the Jewish people, so when an Israeli publication does something, be it good or bad, I feel at least somewhat connected. Although I know many people who feel Haaretz is a publication too far to the left in the political arena, and some even feel too sympathetic to the Palestinian cause, I’ve never felt compelled to address anything I’ve seen from the paper until now. To me, whether I agree with it or not, the ability to have a newspaper that has a more moderate viewpoint is merely an expression of the freedom and democracy that makes the modern State of Israel a shining light in the darkness that is the Middle East. However, despite the fact that freedom and democracy allows for irresponsible and insensitive behavior, that doesn’t make it good. I don’t feel I need to rehash the events and consequences of the attacks that took place on 9/11. I live in New York and as a New Yorker experienced one very bad day. People who live in Israel may not have experienced days as tragic and intense as 9/11, but cumulatively one could make the case that they have experienced conditions just as bad if not worse. I could have handled an editorial criticizing Netanyahu. I would have even said nothing to an article giving the entire blame for the strained relations with the United States on Netanyahu. What I can not accept and be OK with is this irresponsible, unfair and detrimental depiction of what Netanyahu is guilty of doing. Although I personally support the Prime Minister 100%, I accept that there are those who are not fond of his actions and methods. Again I say that I can appreciate the right of a democracy to criticize and if enough people wish, replace their leaders. What I can not appreciate is depicting an Israeli Prime Minister as being of the same makeup as terrorists that hijacked planes and murdered 3,000 innocent souls. 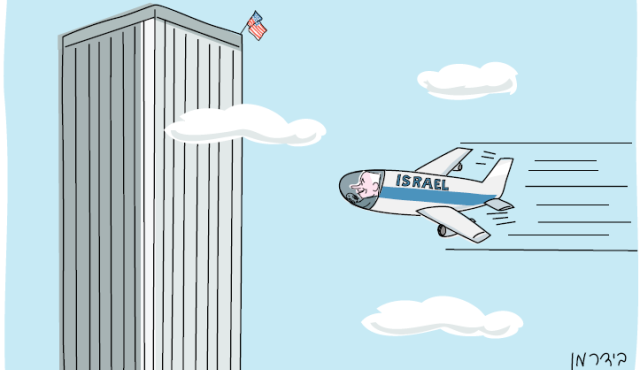 What I can not appreciate is the insensitivity this cartoon shows for the relatives of those who were murdered on 9/11, and what I can not appreciate is irresponsible nature of this cartoon. It adds fuel to a fire already being fueled regularly by supporters of terrorists. Terrorists that would murder the creator of this cartoon as quickly as they would murder me. Like anything in life, whether you agree or disagree with someone, there is a way of doing things with class. This was not only done with no class, it was done with a brazen lack of respect for the very people Haaretz claims to care so much about. The innocent. I’m not sure I even know what I want to see happen. It is already out there and unfortunately in some ways it is already too late to take anything back, but I hope that the editorial staff at Haaretz will reexamine what it does in the future and realize that it has a responsibility to do more than make a point. It has an obligation to show understanding and compassion. I leave you with one question. Since I believe this cartoon was put there to bring attention to the publication at all costs, when you assess the consequences of your actions the question I have for you is this. Was it worth it? I hope you answer it honestly. As we get ready to remember the 9/11 attacks that took place 13 years ago, I would like to express my hope that everyone will be safe tomorrow and in all the days to come. We live in troubling times and with many concerns for the future. I pray to God that we will all be fortunate to realize a genuine peace in our lifetime and that very soon, good will win the battle over evil. Maybe the best way to honor the people we remember on 9/11 is with an optimism that the world can become the place we hope it can be, and to continue to thank God for that in the world that is indeed good and right. Let us never lose out hope, our love , and our faith in a bright future.